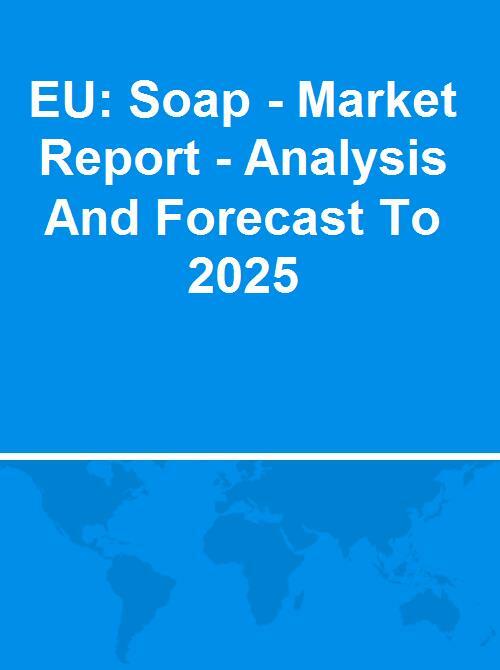 This report focuses on the EU soap market, providing a comprehensive analysis and the most recent data on its market size and volume, EU trade, price dynamics, domestic production, and turnover in the industry. The market trends section reveals the main issues and uncertainties concerning the industry, while the medium-term outlook uncovers market prospects. The attractivity index (IB Index) summarizes the source of existing opportunities as they appear in this market, as well as an interpretation of the trade figures. Soap; organic surface-active products and preparations for use as soap, in the form of bars, cakes, moulded pieces or shapes, whether or not containing soap; organic surface-active products and preparations for washing the skin, in the form of liquid or cream and put up for retail sale, whether or not containing soap; paper, wadding, felt and nonwovens, impregnated, coated or covered with soap or detergent.